What Do You Mean You Forgot To Eat? I missed a meal once. It was the summer of 2003, I was probably somewhere around six months pregnant. I had a Chicken Parmesan Panini for lunch which made me so nauseous that I couldn’t bring myself to eat an afternoon snack or dinner. Can you believe it? Not even dinner! Wait – it’s slowly coming back to me…I definitely skipped dinner but around 9:00 pm I needed something so we went to get Ralph’s Ices and I had my favorite flavor- Snicker Fudge. So technically, aside from a few bouts with random stomach viruses, the last meal I missed was eleven years ago. Just like I can’t relate to people who want to run in the morning but can’t get themselves out of bed, I cannot relate to the people who forget to eat lunch, aren’t hungry for breakfast or skip dinner because they were too busy running errands late into the evening. What do you mean it’s 3:00 pm and you haven’t had lunch yet? What do you mean you had a big lunch so you won’t need dinner? Not even a small something? A nibble of a sandwich? A salad? How do you run on an empty stomach? Not even a banana? Okay, so you run better without eating first but what about after your run? You don’t refuel within the 45 minute crucial window for proper muscle recovery? Forget muscle recovery, AREN’T YOU HUNGRY? Eating at regular intervals is kind of a big deal. If you want a speedy metabolism, if you want to feel good, maintain or even lose some weight, you must eat. 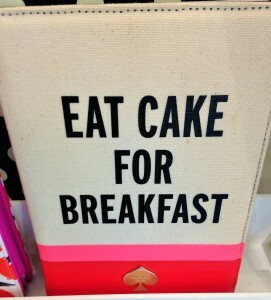 And eat often. I eat when I wake up. I am starving to the point where I sometimes wake up at 3:00 am looking for a nibble just to get myself to 6:00 am when I typically eat my first breakfast. I have always been this way, even before I started running lots of miles and well before I was even considered in shape. Which, by the way, Pure Barre challenges any belief of my being in shape. Muscle shaking is an understatement. Breaking the fast in the morning gets your metabolism going, feeds your brain and your muscles and helps to balance out your sugar levels so that you don’t crash, burn and make poor food choices and/or overeat later in the day. 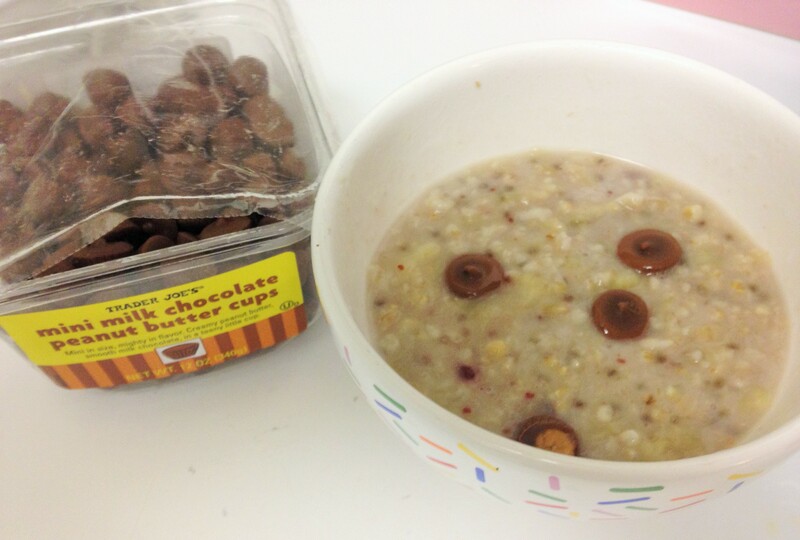 In fact, they say that people who eat breakfast on a regular basis are thinner than those who skip the meal altogether. I am half serious here. Some studies show that having cake or a dessert with breakfast may lead to eating fewer calories overall and prevent bingeing later in the day. If you don’t like traditional breakfast foods (which I can’t relate to) just eat something that sounds appealing to you. 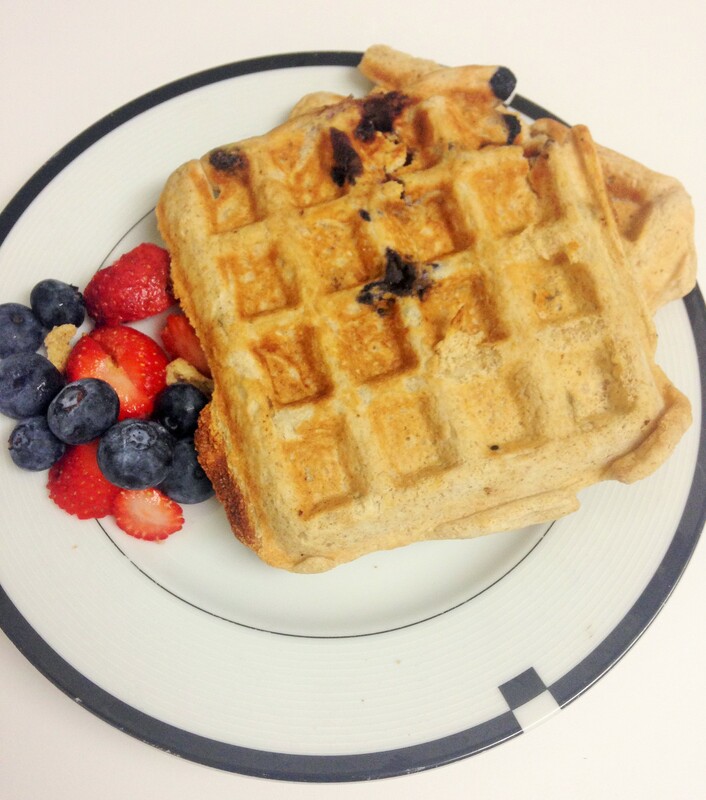 Remember the other day I made my son blueberry waffles using Kodiak Cakes mix? I froze the leftovers and reheated them a few days later. So I just gave you the green light to eat what it is you like in the morning, including cake, so I don’t even want to hear your excuse of having “no time” for breakfast. No time to toast an English muffin and spread some peanut butter? No time for a container of yogurt on your way out the door? No time for dry cereal, a cheese sandwich, cold pizza or a bowl of oatmeal quickly heated in the microwave or even better, reheated from the servings you thought to prep in advance for the week? My son is so lucky, isn’t he? Not only do I prep oatmeal and share the servings with him, I voluntarily drop Trader Joe’s mini peanut butter cups into his bowl which also contains whipped in banana and raspberry jelly. Please don’t tell him about the chia seeds, he has yet to notice. Don’t you value yourself enough to take a few minutes to consider your meals and do a drop of planning the night before if you know you won’t have time to prepare breakfast? Allowing for hours to pass between meals and not caring enough to put some thought into ensuring you are well fed speaks volumes about a person’s self-esteem. If you love and value yourself, you would respect your appetite and the food you select to fuel your body and soul. Just a thought here. We may need to expand on this another day. Exact meal times can be flexible. So long as you remember to eat, you can really go and do anything with proper planning. If I have to be somewhere for an extended period of time which may interfere with lunch, I make sure to either eat my lunch in advance (and bring a snack) or, bring my lunch with me. I don’t know what it is but there is something about a “Power Bowl” that always makes me feel good. Perhaps a Power Bowl of some sort is what you need in the middle of your day to boost your mood, self-esteem and metabolism all while satisfying your appetite. 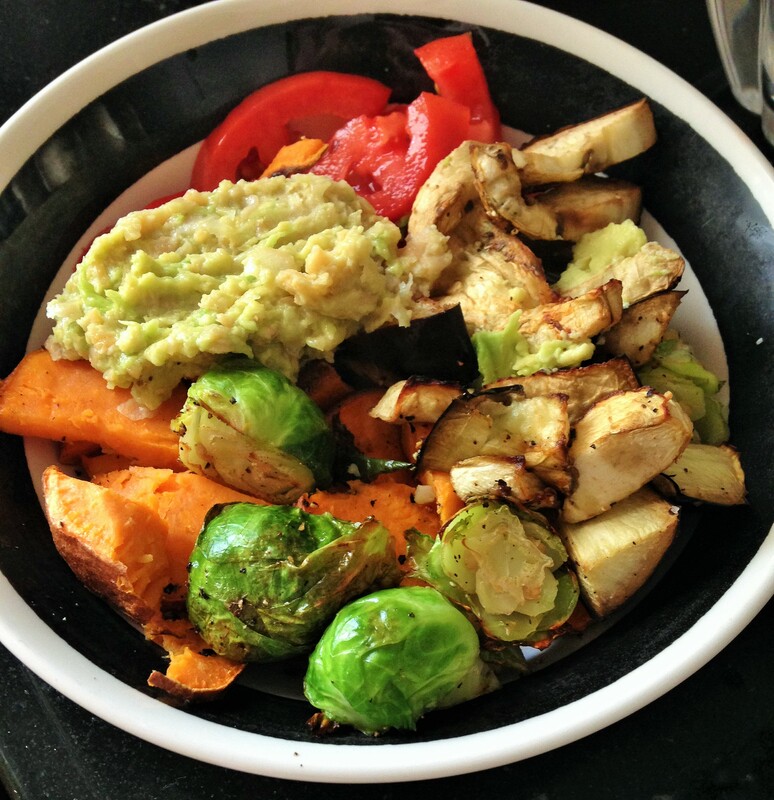 Sweet potato wedges with roasted brussels sprouts, plum tomatoes, roasted eggplant and chick pea/avocado mash with some extra avocado because it’s too good to stop at a little bit. A lunch like this can come together real quick, can be prepared in advance, is totally portable and can be served hot or cold with no mess. Am I the only one who has a stomach that can’t lose track of time? I don’t even need a clock. We can figure out what time it is just based upon my appetite. You don’t want to skip meals. Not only will it leave you ravenous before long, being ravenous can often times increase the chance that you will overeat or make less-than-ideal (fast food) meal choices. 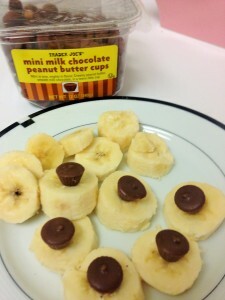 If you haven’t eaten in eight hours, you are more likely to come home and polish off the entire container of mini peanut butter cups while figuring out what you will have to eat. Try them with banana. Just do it. Going too many hours without food will make you mean and can affect your metabolism by slowing it down. When the body doesn’t receive food for extended periods of time and then suddenly receives some, it is more likely to hold on to every morsel you give it rather than burn it off as energy. And we certainly don’t need our bodies holding on to every peanut butter cup. I have been meaning to get to the post about how I don’t meal plan but do plan for having a variety of staples in my house in order to throw meals together quick. Any day of the week you can come to my house looking for a balanced meal and I will have one for you in a matter of minutes. I mentioned my son’s weeknight meal plan request for after camp but for the most part, that meal plan has been consisting of tacos or big sandwiches. I have been rotating those until this week when I kindly offered to make him meatballs. “Real meatballs” as he said which translates as, not meatless. 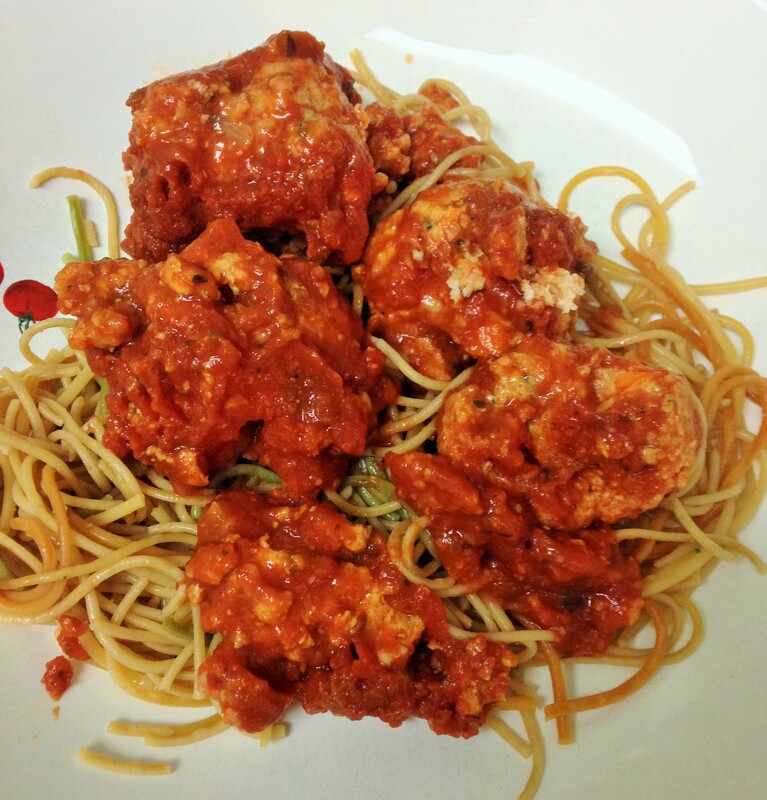 I definitely want to share the recipe for these turkey meatballs with you because even though I couldn’t taste them (vegetarian, remember?) he devoured them, asked for seconds and had them two nights in a row. I just need to make them one more time so I can pay attention to measurements a bit better. 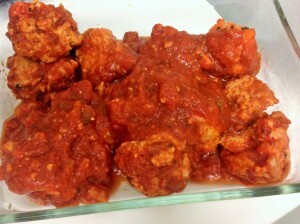 Making meatballs from scratch is really easy, doesn’t take long and should leave you with some leftovers. 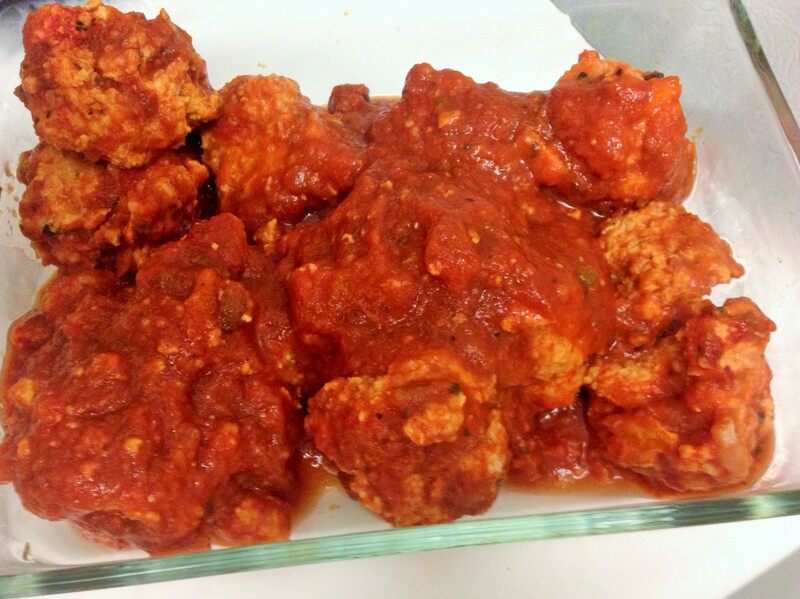 You can freeze your meatballs and easily heat them up for another meal which will help to keep you from skipping dinner or spending money on take-out. I may have skipped dinner eleven years ago but I am pretty sure I have never missed dessert. I am going through berries like crazy over here but I decided it’s okay because the season for delicious fruit will end before we know it. By the way, I feel like it is my duty to inform you of the fruit recall at Trader Joe’s, Costco, Walmart and Kroger. Last time you skipped a meal? 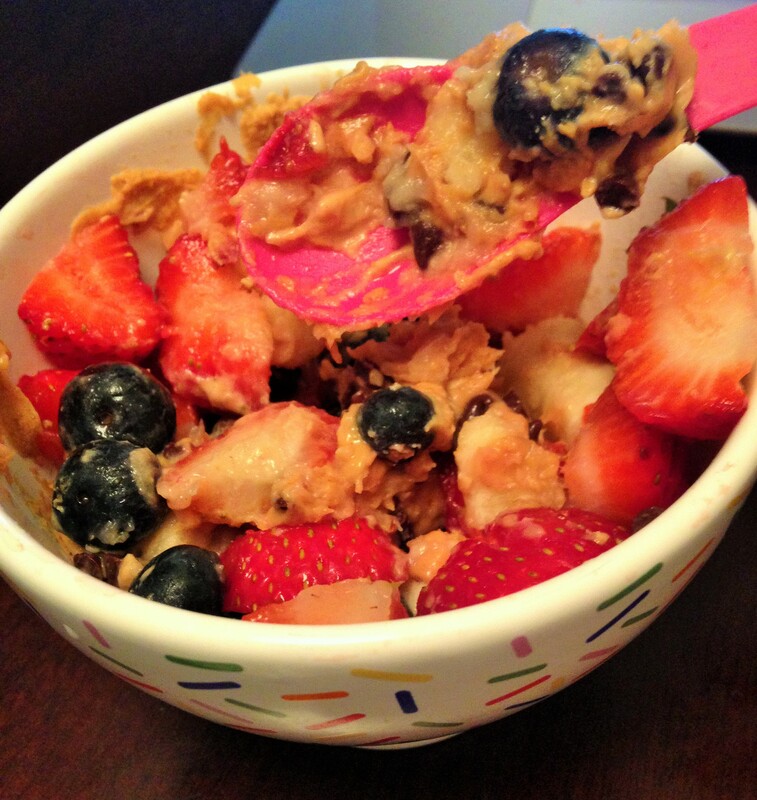 Do you eat nontraditional breakfast foods? I am a big meal prepper/planner. Sometimes I wonder am I crazy that I thought about needing to bring breakfast with me for after the gym or am I nuts that I planned my salad the night before because I knew there would be no time to get it made. But I love what you said, it shows a form of high self-esteem, that you care and love your body. I am going to remind myself of that if I ever thing I am being too prepared! Andrea recently posted…Run of the Champions 5k PR! OMG I love that quote! Hahah, thanks for thinking of me. Seriously…I don’t understand people who forget to eat. My sister and mum and actually, many of my friends fall into that gap. My stomach and persona make it very evident when it is hungry. Pizza for breakfast is standard rotation here. Sneaky mother hiding chia seeds. I am quite mean when I get hungry. I’m so with you. I have no understanding how people can “forget” to eat. I finish one meal, and I’m automatically thinking about what I should have prepped to eat next so that I don’t get hungry! I can’t wait to see your post on how you prep without totally prepping. That sounds much more like my style. Yeah, I hate meal planning because I know I can’t decide in advance what I will be in the mood for two nights from now. I had this exact same conversation with a coworker yesterday (at 3 PM no less). My answer to the “you know, I was too busy” is that I have been too busy to eat before, but I have never forgotten a meal. Thus why I also have a sh*t ton of snacks in my drawer. I always had my snacks at work and emergency snacks to back those snacks up. And, a box of raisin bran for the days that were so insane I couldn’t escape for lunch. All I had to do was add milk from the office fridge and lunch was served. Haha I do NOT skip meals, either! I don’t know how people do it. My co-worker literally never eats lunch. She just doesn’t. Sometimes she’ll have a cupcake in the afternoon or something but that’s it! She just waits till dinner. That will nevvvver be me! I will never understand people like that. Ever. YES!!!! As soon as I saw the title of this, I KNEW i would love it, but you have outdone yourself. This spoke directly to my heart, and it makes my blood boil when people say that!!!! There is no way you can “forget to eat”, even a small something. What angers me even more is when people know they are going to be really busy, yet do not take the time to pack something. ARGH! My athletes would raise my blood pressure when they were close to passing out at practice at 3, whinging that they were starving….yet had not eaten as they “did not have time”……uhhhhh maybe try getting up more than 10 minutes before your class starts……Okay, I need to stop venting now! Phew! Keep venting because I totally get it! I could go on and on just like you! I don’t understand it and cannot relate to it. It just makes no sense to me lol. I have never forgotten to eat either. I definitely have missed my fair share of meals (I’m not a fan of lunch so I end up snacking my way through sometimes) and I used to “miss” breakfast but that was when I wasn’t exactly in the best state mentally. It is so true that the time you put into eating meals is directly related to your self esteem. I never thought about it like that but it’s entirely accurate and I’m glad I turned myself around because I like food too much to be missing meals. That is just craziness. I don’t usually love lunch either but I always make sure to eat during the day. Agreed – missing meals is craziness in my mind. I literally was lol’ing at the opening of this post. I am the same way. I have no idea how people ever skip meals! Not me. I don’t remember the last time I skipped a meal it just isn’t going to happen. Only I am weird enough to remember that the last dinner I missed was eleven years ago. I genuinely can’t comprehend how people can forget or worse yet choose not to eat a meal. Feeding my body is basically my #1 priority. Nothing gets done until I do. Also I don’t get how people can lose their hunger when they are stressed?! When I’m stressed I eat ALL THE FOOD. Davida @ The Healthy Maven recently posted…25 Gluten-Free Dinner Recipes in Under 30 Minutes! I don’t stress eat, I am the opposite and will lose my appetite. However, I have learned that I must eat anyway and no amount of stress or unpleasant times can interfere with that. Honestly, two hours since my last meal can start to turn me hangry, especially if I ran that day lol. I laughed when I saw the title of this post. I also can not for the life of me understand how people forget to eat a meal. I get hungry every 2-3 hours (grumbling tummy and all so there’s no way I could forget). The only time I’ve ever skipped a meal was when I was pregnant and had hyperemesis gravidarum so I basically skipped all my meals and lived off IV for 3 months. But let me tell you, all I wished for during those 3 months was to enjoy food again! Ugh, that does not sound like a pleasant pregnancy experience…When I was on bed rest, I felt like all I did was eat. Everyone kept bringing me food and I had nothing else to do lol. THIS. WE are the same person. I NEVER forget to eat and am always hungry. Even if I’m not super hungry (rare) I’ll usually graze and snack all day. I don’t understand how people aren’t super cranky if they don’t eat! Totally a non-traditional breakfast eater.. I am not a fan of traditional breakfast foods (with the exception of eggs) so I have been known to eat completely random things for breakfast. I can literally tell what time of the day it is by how my stomach feels and how hungry I am — it’s gotten to the point where I probably don’t even need a watch anymore 😆 I’m right there with you, though. I’ll never understand how people can “forget” to eat because I can’t focus on anything unless I’m properly fed. And you know what’s kind of crazy? I do actually believe there’s a lot of truth behind that whole cake for breakfast thing, which is why I make my breakfasts super sweet most of the time. If I don’t, I just end up craving sugar for the rest of the day. Amanda @ .running with spoons. recently posted…. vanilla almond butter protein granola . Hehe I had to check out this post because of my coincidental last WIAW! 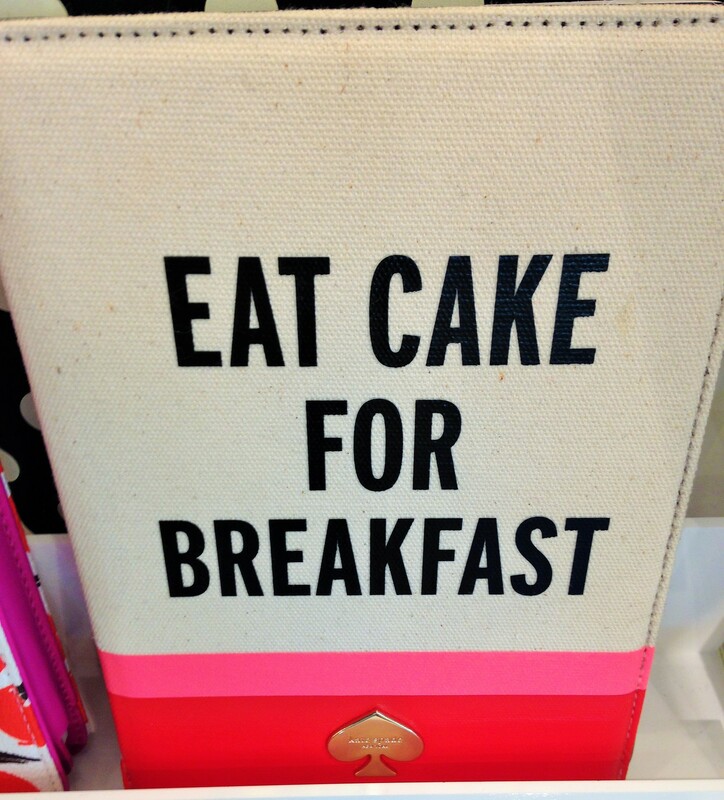 I usually have savoury breakfasts, but sometimes… you just need CAKE 😉 I agree so much with the love and value for yourself in terms of remembering to fuel up, and take care in what you give yourself. I’ve never been a meal skipper myself! I don’t even know what it is to wake up late lol. Haha sometimes I feel like my stomach IS a clock. This post is great. Lately, I’m loving big salads for lunch—so easy and filling. I’m right there with ya! I can’t remember EVER skipping a meal. I get really angry if I’m hungry…just ask my husband. I also wake up starving. I don’t get how people can skip breakfast. You and me both! I need to eat 20 minutes before I get hungry, otherwise watch out. Wow…I totally break every rule (except for the ornery one when hungry or at least I get light headed and disoriented…accckkkk) and have been for years…especially skipping eating until sometimes 3 or 4pm! That being said I am very thin and do lots of walking. I guess we all have to do what works best for us though I know my routine could use some tweaking. Yes, we are all different and have to do what works best for us individually. I know that I could never make it till 3:00 pm without food, I would be pushing it to get to 8:00 am! I’ve always been one of those who will get to mid afternoon and realize that I haven’t eaten. Some days I’m not hungry and others just busy and not at a stopping point. Kim recently posted…Does Your Heart Need a Rest? Nikki @ will run for pizza recently posted…THE HILLS ARE ALIVE! OMG I loved this post as I can relate to it on so many levels. I too really struggle with how people dont need to eat the second they wake up….and then I feel all judgey when I ask them “How have you not eaten yet? It’s been four hours since you got up and I’m 2 meals down..” I eat 6x per day as I need a lot of fuel to give to my body after weight training for 2 hours in the morning almost every day. The only times I ever skip is when my stomach decides its not happy and that just makes me sad. I actually get legit frustrated because I know that the next morning I will feel depleted and weak in the gym from just skipping that one meal. Problems of a person trying to gain weight and having a furnace of a metabolism. Also, power bowls are just about the most delicious thing and they come from randomly tossing a bunch of things together. Eating well is easy, I just wish more people knew that. You are so right – eating well IS easy. Once you get the hang of it and knowledge of what to buy, prepare and look for on menus when dining out…I am the same, I have had two meals by the time most people first think to eat something. I don’t get it. I can’t skip meals. I’m very structured and routine. I workout at 5:30-6:45 on empty stomach, throw back my post morning workout protein coffee/smoothie at 7:30, breakfast about 2 hours later, lunch at 1, afternoon pick-me-up at 3, after work workout, wine/beer (don’t judge) afterwards around 7:30-8:00, dinner at 9:30ish, sleep at 10:30. I have coworkers who skip meals. I don’t get it. I can’t focus when I’m hungry. I get “Hangry”, you know, hungry+angry. But I also have friends who are ADD. They really DO forget to eat because they are so focused on the work at hand (with the help of adderall by prescription of course). But to answer your question, I don’t skip meals during the week. But my weekends are usually a bit random. I might wake up at 9 on Saturday and want to run. I definitely don’t want to eat a meal before a 10 mile run, so I might end up eating a brunchy lunch at noon or 1:00 and a snack and dinner later. But the idea of “forgetting” to eat or being too distracted to eat? I don’t get it. I’m too distracted by hunger to work, therefore I eat. =) My favorite lunch lately is a simple tofu salad. I have a bed of spinach with sliced cherry tomatoes, topped with a tofu salad consisting of finely diced TJ’s organic tofu + dijon mustard + pickle relish. It’s the jam. Mary Legare Whaley recently posted…New Shoes. Guys, I need help!